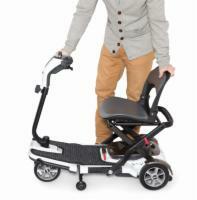 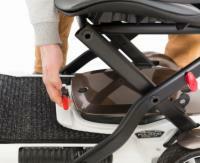 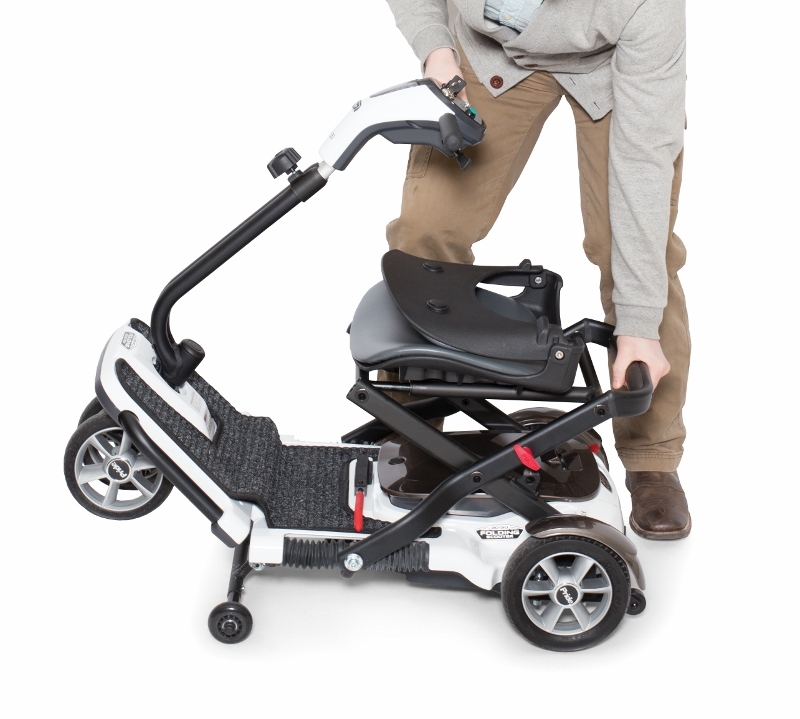 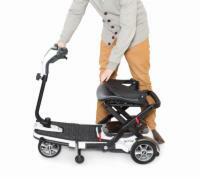 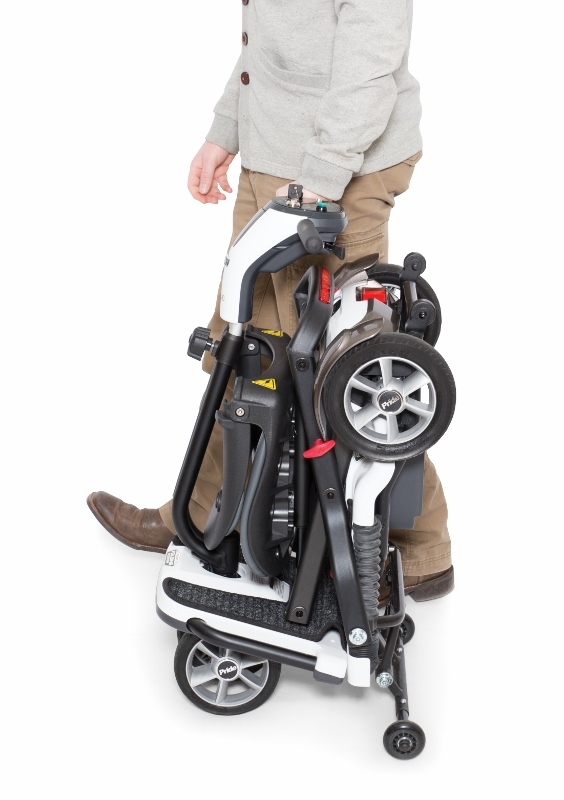 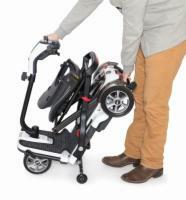 Traveling with your mobility scooter has never been easier! 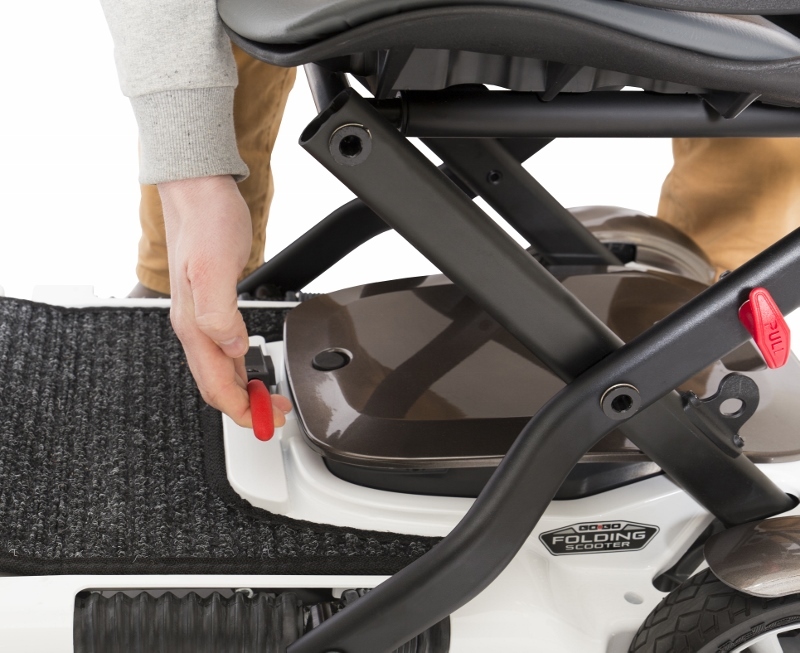 The Go-Go Folding Scooter offers the same level of stylish performance that you have come to expect from Pride products, all in a foldable design for unbeatable convenience. In just three simple steps, you can fold up your scooter into a super compact and easy to carry package. 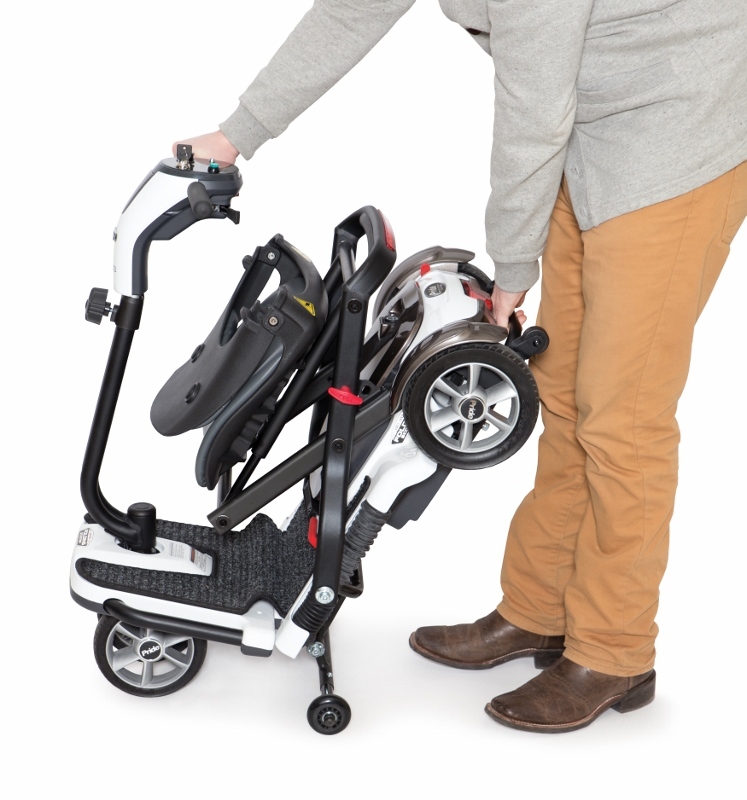 The Go-Go is perfect for both indoor and outdoor use and easy to transport through hotels and airports and compact enough to fit in any vehicle trunk. 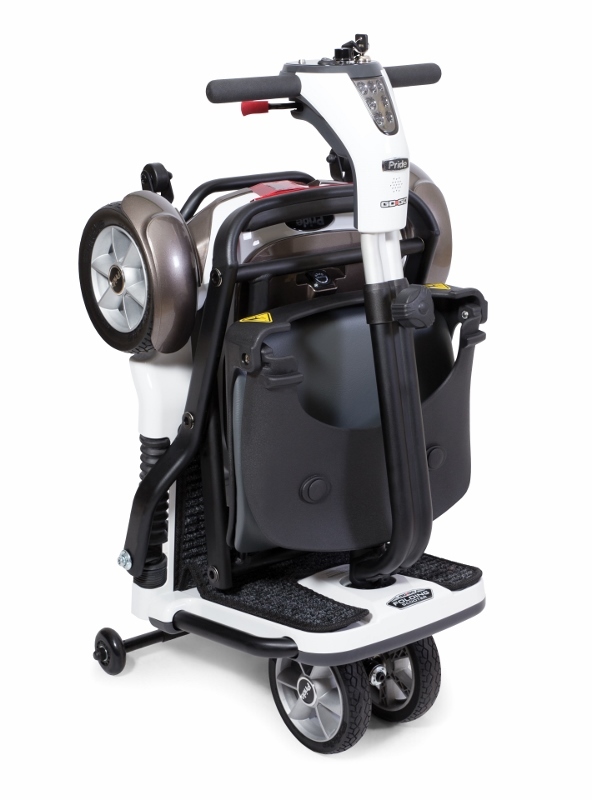 It comes with a long-list of standard features, including: LED lights, adjustable tiller and a battery range of up to 12.5 miles. 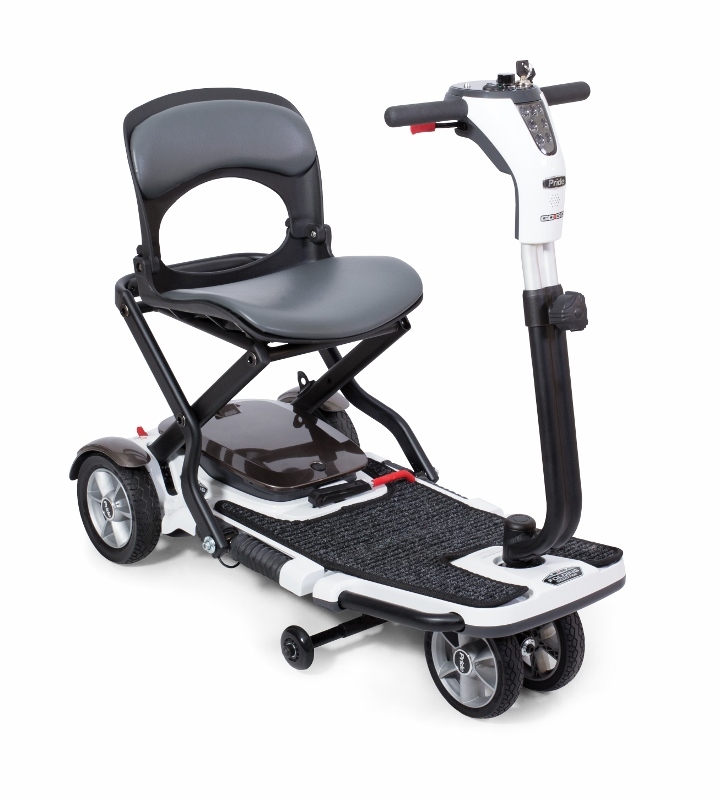 If mobility problems have made travel a hassle, call today to order the Go-Go Folding Scooter and get back to enjoying your active lifestyle.